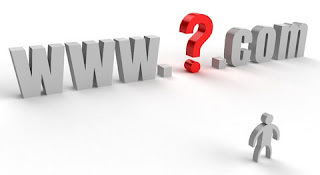 Selecting a domain name for your blog or site is much difficult. You have to choose an unique and attractive domain name for your website. So today i have come with an interesting one article that is list of best domain name tools. There are plenty of tools are available on internet but here i am selecting the best one. If you are thinking of creating an website than the first step is to choose an good/best domain name. If you want that your website become popular than your domain name must be unique, attractive, creative etc. When you will enter the relevant keywords, Bust a name tool will try every combination and tell you which domain names are available and present. This tool will allows you to type a domain name and see its availability instantly. Domainr is the best tool to choose your domain. This tool helps to finds domain names and short URLs. You can easily check the availability and register your site for all top-level domains. It offers a speed and security features. When you type the results, than it can immediately providing the instant results. This tool includes a domain name search tools, domain name generator, social naming contests and niche keyword research. This tool helps you create and generate random blog, website. It gives you a combining keyword you want with a word from the NameTumbler database. You can also choose your keyword placement. Also you can add hyphens to separate suggested terms. It is used to create domain name suggestions by selecting a list of words (e.g., colors and shapes) for the beginning and end of the domain. NameMesh is the best domain name suggestion tool. It uses the synonyms, antonyms, related words and intelligence. It also has options for SEO, branding, phonetic and much more. It is a unique domain name generator and database that allows you to perform a keyword search with either one or two words, it also include hyphens and rhyming words.